Save Time. Save Money. Do it Right. The basics about landscape design principles, themes, and outdoor rooms. How to avoid the most costly mistakes made by DIYers, designers and landscaping companies. How to develop an "eye" for details in landscaping. How to be efficient at landscaping planning and sequencing your work. This book explains how to do things right the first time. This landscaping book was written for many different reasons, but has only one purpose. That purpose is to save you time and money. At dream-yard.com we've been compiling all the reasons why people lose time and money for over four years now. We know what they are because it's our job to listen to the tens of thousands of people that use our site each month and provide the answers they need. From the idea stages and designing, to installation and maintenance, we're going to help you avoid the biggest mistakes made by DIYers, designers and landscaping companies. The ABC's of Landscaping Planning is going to have you “Thinking like a Landscaper” with your projects from start to finish. We have the "eye" and we know quality landscaping when we see it. That's also why nearly 200,000 people follow what our eyes see for good landscaping ideas on Pinterest. Having landscaped for years and having my own library of landscaping books allowed me to differentiate between the material already out there, and what was missing. It allowed me to fill in the missing pieces to provide you with something different, unique and valuable that leads to success. 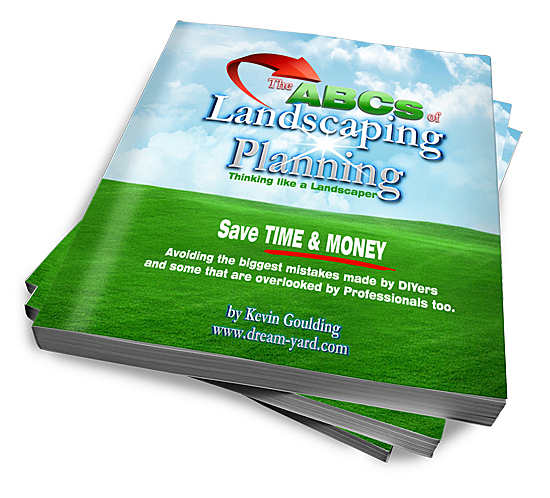 While every book has its own value, you will not find one that presents the meat and gravy like the 91 pages in the ABCs of Landscaping Planning. Building and running dream-yard.com has been quite an experience. Imagine what we've learned ourselves helping homeowners achieve their own dream yards. Now we've put all this valuable information together into one awesome book! The ABCs of Landscaping Planning will give you the ability to see it, assess it and plan for it. 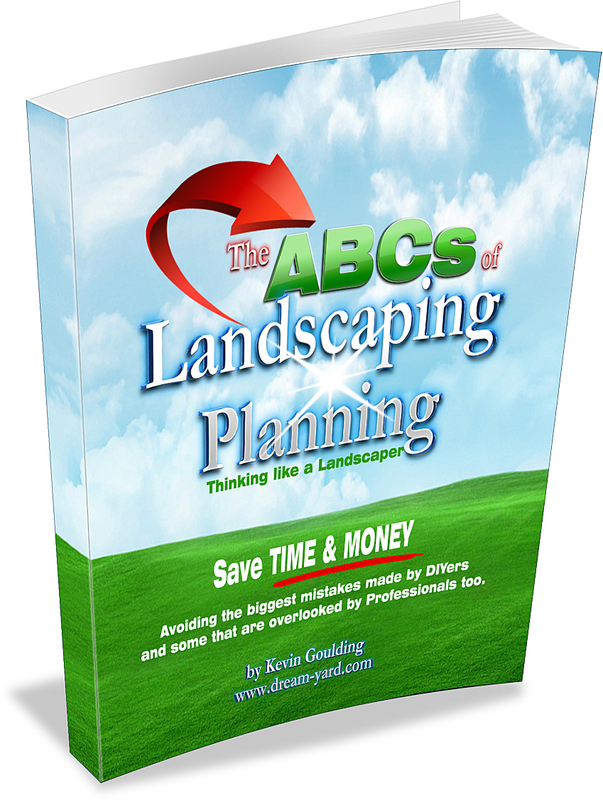 So what are some of the benefits you'll receive from buying the ABCs of Landscaping Planning...other than saving time and money? You will learn why lawns, trees and plants grow and flourish naturally. You will learn about the problems associated with grading, drainage, slopes and excavating. You will understand the importance of estimating materials, sequencing work, and the overall installation process. It will help you to decide what you can do yourself, and when you will need the services of professionals. We will teach you how to design a yard that is practical, functional and easy to maintain. You will learn about curb appeal which can help you sell your home faster, and for more money. When you consider the time and money you can save from such valuable information, this book is a fantastic bargain! Plain and simple, this is a great value at $9.99 for something that can save you thousand of dollars.